The Binance review in front of you has an aim to bring forth advantages and disadvantages of trading in Binance. Binance is one of the largest Bitcoin trading and Ethereum trading platforms. The platform’s investigation includes its brief history, customer support, privacy, fees, and security. Bringing it all together, we conclude with pros and cons that you should be aware of from binance exchange review. Binance is a best cryptocurrency trading platform, led by a Chinese entrepreneur, Changpeng Zhao. The website (and company) established operations in 2017 through an ICO. The result is a platform that offers several services and its own coin called Binance Coin (BNB). In the span of several months, the company gradually gained recognition within the cryptocurrency industry. The reason for such success lays in the fact that platform introduced numerous trading pairs. As for the development, the company announced in March 2018 that it plans on to create a decentralized exchange. Mobile platforms are not yet available through it is still early to give judgment since the company is still new. Registration on Binance does not entail personal details. In fact, verification is not required form traders at any stage (yet). The process itself takes no more than 5 minutes. What might take some time is the bot verification step. You get a piece of the puzzle to drop on the empty spot, which might take few tries to complete. You can see it for yourself in a snapshot below. On the side of verification, unverified accounts have a limitation of 2 BTC daily for withdrawal. Those that do verify their identity, have a staggering 100 BTC. The process itself might take few days since you need to provide your personal details, as well as scanned ID. Nevertheless, we do deem 2 BTC a day for withdrawal to be quite large to deal with. Additionally, you are not limited when trading and deposits are in question. Although based in Hong Kong, the exchange offers its services globally. There are no country restrictions since fiats are not included in the trade. The only real limitations are governments that banned cryptocurrencies or have put other restrictions on their trade. Thus, Binance truly offers globally-supported services for its clients. As for the customer support, the platform offers extensive FAQ section, providing answers to most questions. You also have request/ticket system should you encounter bugs and other issues along the way. More importantly, Binance offers frequent announcements and updates on the marketplace. Although new, the exchange still does not offer live chat, as it is the case with OKcoin and Kraken. Binance is much similar to exchanges like Bittrex and Poloniex in the aspect of available payment options. What makes them all similar is the fact that they all, Binance included, are crypto-to-crypto only oriented. Fiat currencies and methods that accompany them are not available. You can only deposit and withdraw crypto coins. Options like bank transfers or credit cards do not work in this exchange. As for the cryptocurrencies, Binance boasts of a large spectrum of digital money. You have over 130 cryptos to choose from when trading is in question. Furthermore, you have over 200 trading pairs, organized around bitcoin, Ethereum, BNB, and USDT. When it comes to costs while trading, Binance employs two sets of expenses. The first one is the overall trade fee, standing at 0.1%. No matter the trading pair or volume is chosen, you will incur these costs. Only BNB transactions carry out 50% discount on trading pairs that have the coin. Thus, with BNB involved, you have 0.05%. The other set is withdrawal fees, which vary from coin to coin and on daily basis. Take bitcoin for example. The crypto’s network fees, as they are called, change depending on blockchain’s traffic and a number of needed confirmations. However, Binance does not offer the last option, meaning you get the lowest fee but also the slowest transfer as well. What makes Binance different from other platforms like Bittrex and Poloniex is that 2FA can be set by several factors. You have Google and phone authenticators, though we would recommend phone as a more secure option. Address manager, on the other hand, provides you with complete control over your withdrawal codes. You get to set notes on each address, prioritizing how and when withdrawals can take place. Binance offers simple exchange services as well as even simpler trading features. The first is pretty straightforward, as you swap altcoins with other currencies of your desire. As for the trading, you have the standard set of function, them being Limit, Market, and Stop-Limit. 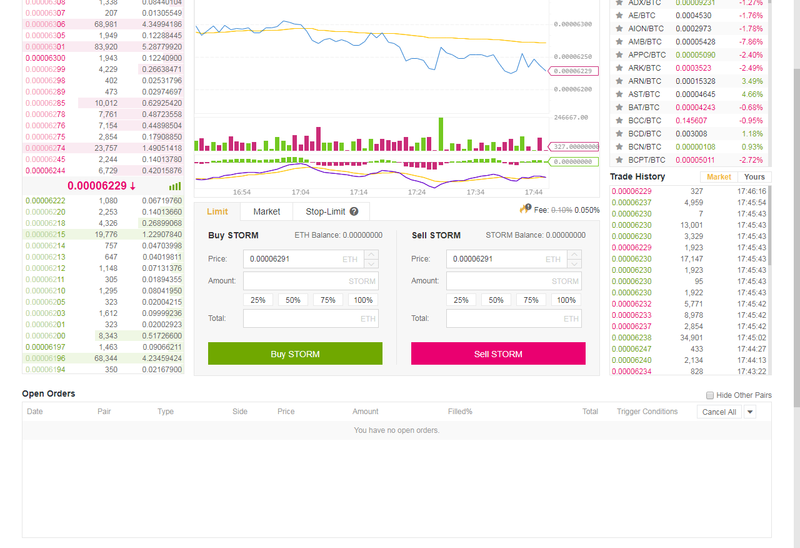 You can see the purchase and sell forms in Binance review picture below. 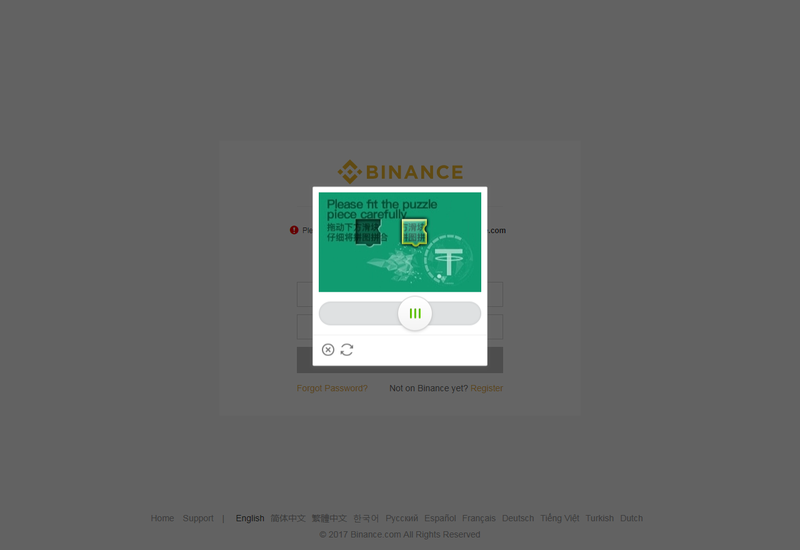 At this point, Binance does not offer any other sub-functions or leveraging for its clients. On the other hand, it does offer two additional platforms. One is called Labs, which offer a space for ICOs to offer and sell their tokens. Other is LaunchPad, which is a platform where you can fund new projects and improvements to the blockchain. In this Binance review, we went over the platform’s ability to provide secure and profitable exchange services. Binance, although strictly crypto-to-crypto, does offer some unique features for its clients. You have exchange and trading services, alongside with IOC lab marketplace. You also have several security tools protecting your assets, though we would recommend to not keep a large number of coins. On the downside, it does not offer fiat training and complex margin trading functions, like leveraging.